Stephen Paul Manderson (born 27 November 1983), better known by his stage name Professor Green, is an English rapper and singer-songwriter. He was signed to The Beats, a record label run by Mike Skinner and Ted Mayhem, until 12 February 2008, when the label terminated. He rose to success upon winning the inaugural JumpOff MySpace £50,000 battle rap tournament in July 2008. Following this in 2009, Green worked with Lily Allen on her 2009 concert tour. In 2006 he released his first mixtape, Lecture #1. After his first record label, The Beats, went under he produced on his own an EP called The Green EP. After he toured with Lily Allen he was signed to Virgin Records and released "I Need You Tonight" featuring Ed Drewett, based around INXS's "Need You Tonight" through the label. He also joined up with Allen on his second single "Just Be Good to Green", which is based around The SOS Band's "Just Be Good to Me". In July 2010, Green released his debut album, Alive Till I'm Dead, which features guest vocals from Lily Allen, Emeli Sandé, Fink, Labrinth and Example, as well as The Streets. He followed this with the album At Your Inconvenience in October 2011. Early and personal life edit: Manderson was born in Hackney, East London on 27 November 1983. and was raised by his grandmother, Patricia, from the age of one on the Northwold Estate. His father, Peter, committed suicide in 2008 in Brentwood, Essex. Green has stated previously he feels his father's death has made him a better person, saying: "I'd had a turbulent relationship with my dad. He was always in and out of my life and I was raised by my grandmother Patricia. Mum, who had me at 16, was there for the most part but my grandmother was the most influential. I last saw my dad alive on my 18th birthday. He came over to see me but after that we just stopped talking. There was no real reason. He hanged himself and I had to go and identify the body in the morgue." Manderson also talked about his father's death in the song "Goodnight" from the album "Alive Till I'm Dead" and about the problems with his family in "Read All About It" from the album "At Your Inconvenience". Manderson said he "fell in to rapping accidentally" as he was at a party at a friend's house, where everyone was freestyling, and he got put on the spot and he said it worked for him. Then, on seeing a flyer for a freestyle night called LyricPad, he decided to go. Despite having no experience freestyling, he won. After going to LyricPad again the next month, a scout from JumpOff spotted him. From there he battled and won every week, eventually becoming Champion. As of June 2011, he remains the only MC to win seven times in a row, a feat he accomplished twice. At JumpOff, Mike Skinner from The Streets saw and signed Manderson up to his record label, The Beats, although Manderson is never very complimentary when asked about his experiences there. Manderson gained the alias of 'Professor Green', the 'Green' part derives from the slang of cannabis, and he continued to sell cannabis until he was signed to The Beats. On 23 May 2009 Manderson was attacked with the neck of a broken bottle in the Cargo nightclub in Shoreditch, East London. Manderson has a tattoo of the word "lucky" where he was stabbed with a bottle, although this was prior to the attack on his neck. His assailant was later convicted of the crime while Manderson sat in the dock, and sentenced to eight years in prison. On 16 October 2012, Puma launched an exclusive apparel collection designed by Professor Green. It emerged in December 2011 that Manderson is dating Millie Mackintosh On March 25, 2013, Mackintosh announced on her twitter account that she and Manderson were engaged. Career history edit: 2010-11: Alive Till I'm Dead edit: He confirmed his debut album's title was "Alive Till I'm Dead" on his official MySpace. The first single off the album was produced by The ThundaCatz and called "I Need You Tonight", which was released on 12 April 2010. It samples the 1987 hit from INXS 'Need You Tonight'. It peaked at #3 in the UK, and #15 in Ireland. The single was also certificated silver status in the United Kingdom. He released his second single 'Just Be Good to Green', on 11 July 2010 in the UK. The single features British singer Lily Allen. It became a top 5 hit in the UK, a top 20 hit in Ireland and on the European Hot 100 Singles. It also peaked at #32 in New Zealand and #49 in Australia. The song samples 'Just Be Good To Me' by the SOS Band. His album was released a week later, and peaked at #2 in the UK and #18 in Ireland. He released 'Monster' as the third single from the album. The track features UK rapper Example (Elliot Gleave). Released on 3 October 2010 the single became a top 30 hit on the UK Singles Chart. His album has been certificated Gold with sales of over 100,000 in the United Kingdom. On 10 September 2010, Professor Green joined Lily Allen on stage at Wembley Stadium whilst supporting Muse, to perform her number one hit 'Smile', and 'Just Be Good To Green'. On 19 October 2010 Manderson released the video for his next single 'Jungle' which features Maverick Sabre. It was released on 3 January 2011 and reached #33 in the UK Singles Chart. On 8 December 2010, a feud erupted on social networking site Twitter between Green and fellow grime artist Wiley. The argument arose when Wiley said that Green would not exist if it were not for the success of American rapper Eminem, adding that he himself was a superior artist to Green. In retribution Green responded by saying '"I will always be a fan, but that's not to say I won't s**t all over you. It's not a problem for me." This then escalated into a larger argument before Green attempted to defuse the situation, to little avail. Green appeared on Soccer AM where he was challenged to a rap battle by Tubes, after several starting spits, Green said "I'm the Professor, the one that you don't wanna test, Tubes is about as smart as the Soccerette". This got a big reaction from everyone in the studio. Green is also UK Ambassador for SportLifestyle brand Puma, focusing on the fashion and lifestyle side of the brand. 2011-2012: At Your Inconvenience edit: Green's second album is titled At Your Inconvenience and was released on 31 October 2011. The title track "At Your Inconvenience" was premiered by Zane Lowe on BBC Radio 1 on 13 July 2011. That track was released as a promotional single only, as an instant download upon preorder of the album on iTunes. The first official single, "Read All About It" (with guest vocals from Emeli Sandé), was released on 23 October 2011. On 30 October 2011, it reached #1 in the UK Singles Chart. The second single released from the album was "Never Be a Right Time", with guest vocals from Ed Drewett. The EP featured remixes from Document One and Drums of London, and a remix of "How Many Moons" featuring fellow UK rappers Dream McLean and Rinse. The "How Many Moons" remix premiered on Mistajam's show on 1Xtra in January 2012. The third single released was "Remedy", featuring Ruth-Anne Cunningham. A remix contest was hosted where producers could download the stems for the track and use them to create a remix. The winner won a trip to meet and greet Professor Green in Hyde Park on 7 July 2012 at the Wireless Festival. 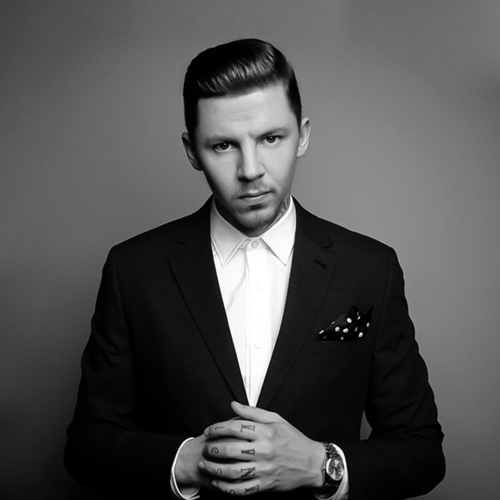 In May 2012, Professor Green released his own signature beer "Remedy". An American style pale ale, brewed with English ingredients. The fourth single set to be released is "Avalon" featuring Sierra Kusterbeck, which appeared on an advert for the energy drink Relentless. Pro Green is a brand ambassador for Relentless, and performed for them at a secret gig in his home town of Hackney, London on November 15, 2012. 2012-present: Third Album edit: Green has stated via Twitter he is already recording his third solo album. He has expressed interest to work with Lily Allen, Ed Sheeran, and Emeli Sandé once more, as well as Lana Del Rey exclusively being asked and agreeing to work on the album. Possible producers so far for the album, includes Mike Skinner, Sid Wilson of Slipknot,iSHi, Pharrell Williams, and Skrillex. Green has created a single with former collaborator Example called "Fast Life" which he believes to be a massive hit. Green also appeared on CBBC show 12 Again talking about his life at age 12.